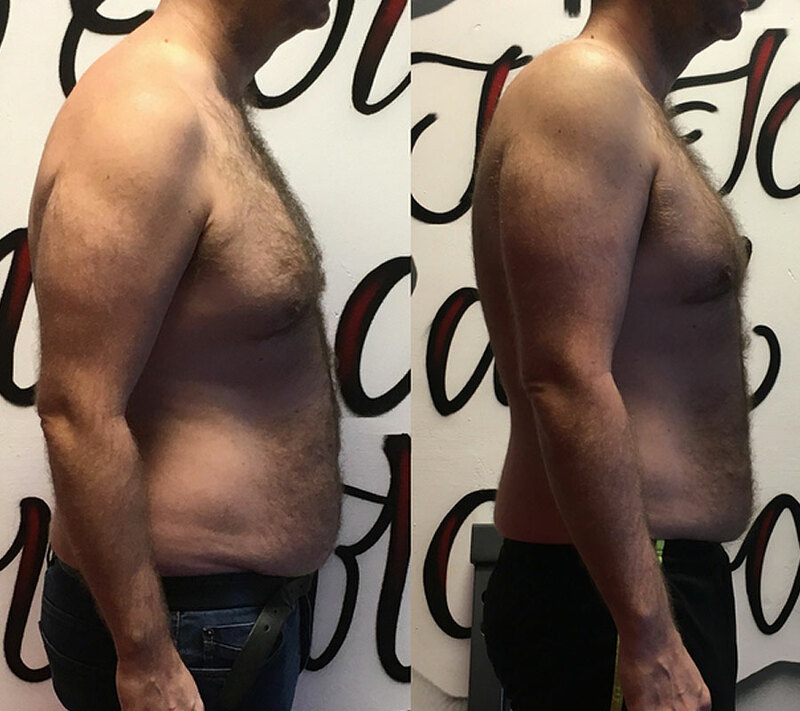 1 stone down and an incredible 5% body fat down! I’m not calling them before and afters… because we all should know that the progress never stops. 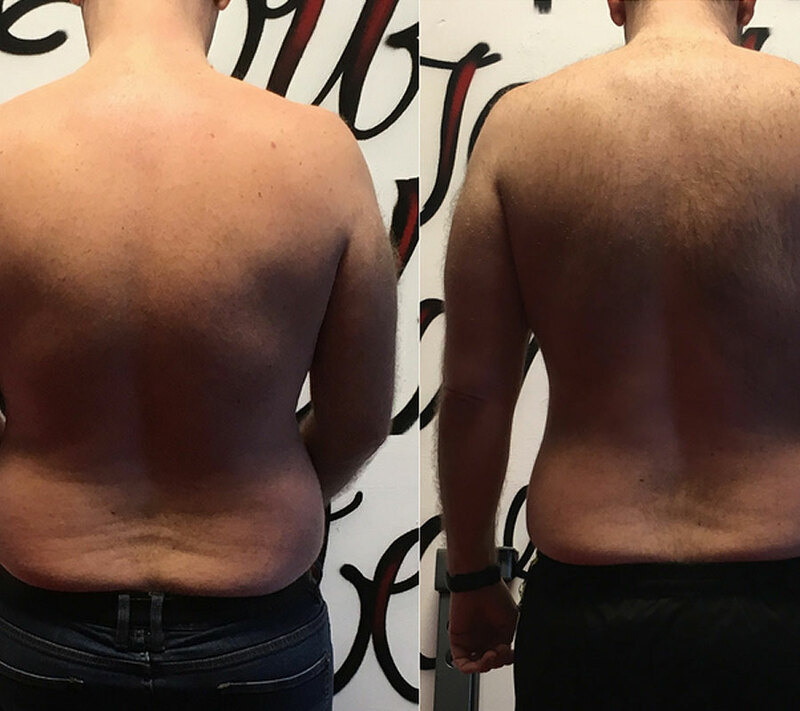 We showed him how to make continuous progress without cutting ANYTHING out of his diet! He loves meals out, there’s often plenty of drink in there and he enjoys life! He took on board everything we taught him on flexible dieting and now has the knowledge to reach his goals at the speeds he wants too. Once the understanding is down then you know that there is no such thing as a “quick fix”. 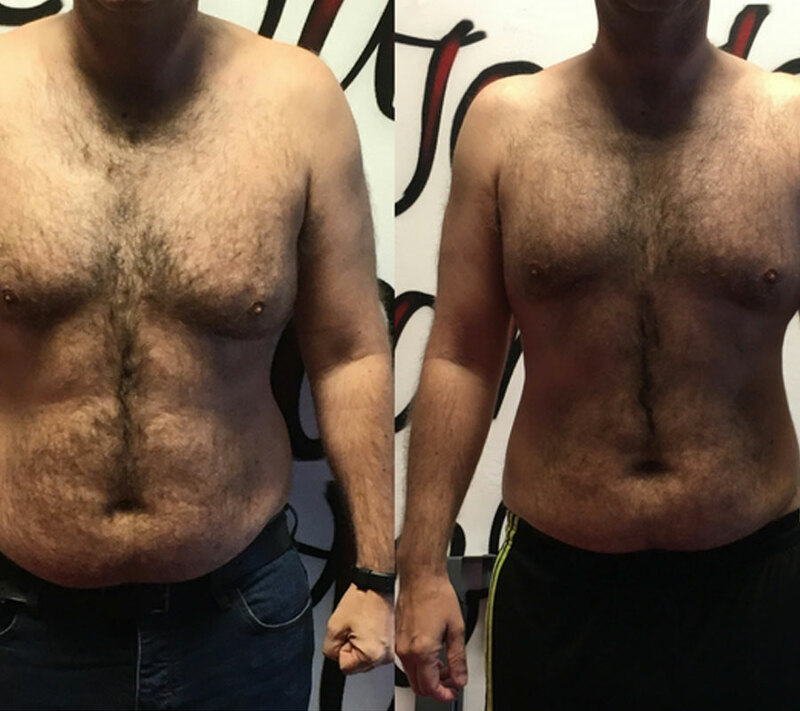 He’s 1 stone down and an incredible 5% body fat down. Training x 3 per week for 45 minutes has given him a new lease on life where training has now become a ritual. He’s an awesome part of the team and also the man who will be serving the coffees on the morning. Keep up the good work and look forward to seeing the ever-changing physique!